This small group ministry honors the interests and calls of our members. Those who share a common interest, whether practical or missional, are invited to join with others. Each group spends time on the interest that brought them together, but they also spend time studying scripture, sharing deeply about their lives and faith, praying together, and choosing a mission project. Spiritual Growth Groups may apply for funds through the St. Thomas Mission Endowment Fund to support their mission work. Read more about the spiritual growth groups. Our national church has prepared excellent Bible study resources under the title Book of Faith. We hold studies every year on one or two books of the bible using these resources. 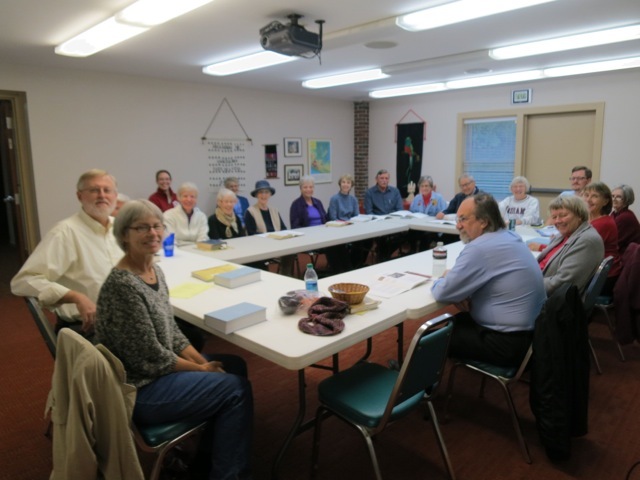 The sessions are usually on weekday evenings of alternating weeks, from 7:00 – 8:30 p.m. Call the church office for more information. On the first Sunday of each month, between worship services, members gather in the sanctuary for a time of open conversation with our pastor. This is intended to keep the channels of communication fully open at St. Thomas. Discussions range from questions about the Bible to theological issues, practical matters to current events. Adult Forums are held on Sunday mornings other than the first Sunday of the month. These programs are focused on particular topics and led by the pastor, members, or people from the community. An outline of the first session – What does racism look like? An outline of the second session – What can be done about racism? A Bible study group for adult members meets every Sunday in Room 11 during the education hour. Visitors are welcome! There is room here for study and reflection, inner activities that grow the soul. 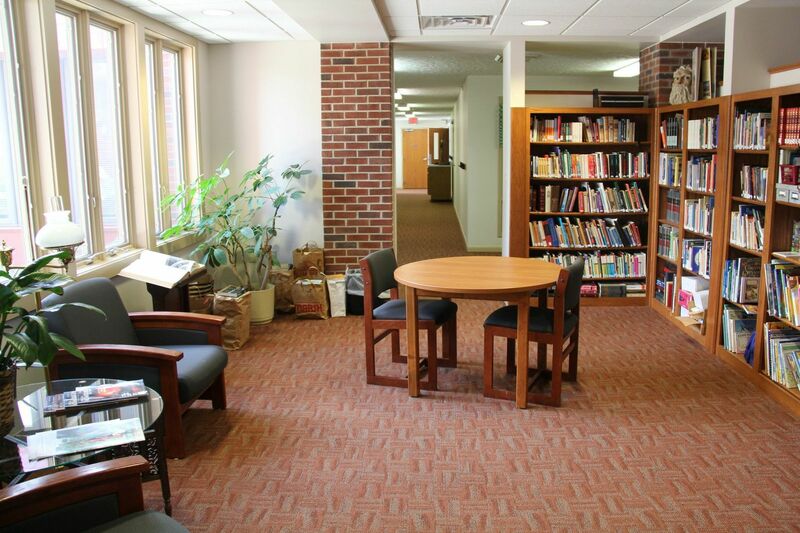 Here’s our parish library, open whenever the building is open. You are welcome to come and read or to bring a project of your own to work on. The sanctuary is open whenever the building is open. 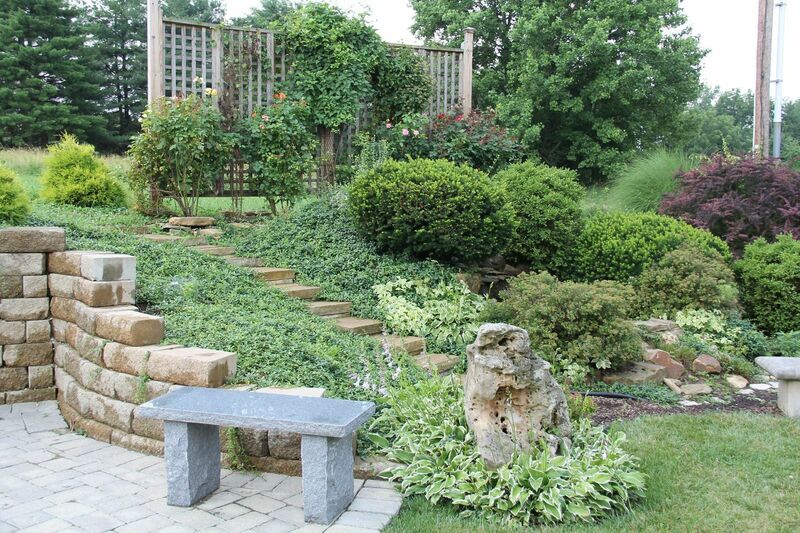 The Prayer Garden is a quiet, lovely place for reflection and prayer.